HRMS caters to all Human Resource functionalities as well as Account Functionalities. The system keeps a track of all the Details of the Employees, generates a complete payroll with the earnings and deduction details. Also keeps track of changes in pay band and other allowances for each employee. All pay slips would be auto generated at month end. •	It’s a Service Book for an employee. •	All the Details of the employee ie. Personal , Contact, Qualification , Previous Service and upload various Certificates, Documents , photo. •	Tracks Increment Given and Due. •	Leaves availed by an employee over the period of time. •	Applied or Ordered Transfer. •	Processing of Transfer Applications. •	Auto movement of all Related Data. •	Provision to create unlimited user and assign specific application access rights. •	The keeps a log about each transaction carried out in the system. •	Creation of various Heads of Accounts. •	The percentage/amount for each head of account can be defined here. •	Earnings and Deductions of an Employee. •	Pay Bill is generated every month for all the categories. 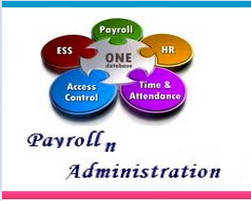 •	Various reports are generated like Earnings, Deductions, Pay slip, Main Page of the Pay Bill, etc. •	Repayment details of employee. •	Keeps a track of the Various Loans taken by the employee. •	Interest applicable on the Loan. •	Auto IT Slab allocation for Employees. •	Type: Promotion, Suspension, Extension, Termination, etc. •	Movement of Orders Issued/Received. •	Approval by the Higher Authorities.